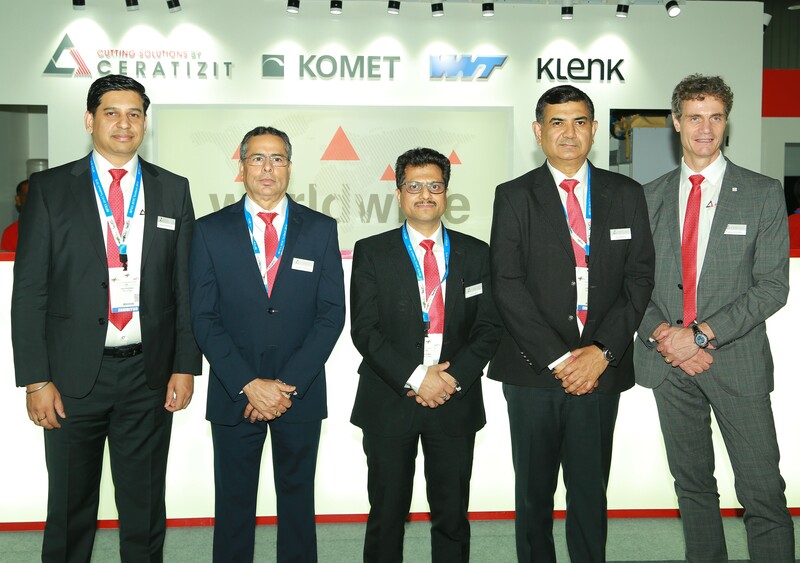 CERATIZIT Group presented its new cutting tool competence unified brand structure for the Indian market for the first time at IMTEX 2019. Over the next few years, under the umbrella of the group, the four competence brands Cutting Solutions by CERATIZIT, KOMET, WNT and KLENK will continue the rapid growth shown in recent years. “We took advantage of KOMET’s takeover, and completely restructured our cutting tool division with a view to the future, in order to serve our customers even better by providing comprehensive solutions for all fields of application in cutting,” explained board member Thierry Wolter. The leading expertise of the four competence brands for the Indian market not only covers all machining applications, but also offers tailor-made solution packages for industries such as automotive, aerospace and heavy metal cutting, which were displayed at IMTEX. CERATIZIT attaches great importance to the local production of its cutting tools in India. With a production site in Kolkata and two plants in Bengaluru and more than 630 employees throughout India, the group is now able to produce the entire range of cutting tool solutions in India, from indexable inserts and tool holders to solid carbide and PCD tools. The product portfolio also includes turnkey project solutions, for which a dedicated team is available to assist customers with special tools and total machining solutions. Besides the tools, these solutions also include fixing and programming the machine. In addition to the company’s own sales staff, a nationwide distribution network with over 160 channel partners ensures proximity to the customer. The sales forecast for the current year confirms that the chosen path is the right one. “For the current business year, we expect a sales growth of 20% compared to the previous year”, said Ashwani Sareen, Managing Director of CERATIZIT India. The Indian subsidiaries of the group are continuing the successful course of recent years. Turnover has increased more than five fold over the last decade due to organic and strategic growth. CERATIZIT is already number four in the Indian market. “The goal, however, is quite clear: to continue to grow over the next few years,” Sareen added. The foundation for this growth has been laid during recent years. The new location in Kolkata was inaugurated in 2013 and a modern CVD coating plant was added last year. CERATIZIT also continues to invest in Bengaluru. Once the expansion at KOMET India has been completed, more than twice as much space will be available. This will also see addition of new machines and new employment opportunities as well.